The main character of the series, who despite her name and appearance, is very inexperienced and innocent, and gets easily embarrassed over her physique and what she says, as she sometimes accidentally says suggestive stuff. She has difficulty waking up early, but becomes more active as the day passes. She is also very emotional and becomes easily involved when reading books or watching movies, to the point of crying. She enjoys cooking, and usually makes her own bentos, and can even make bread. She is also terrified of body modifications such as piercings, despite having earrings. 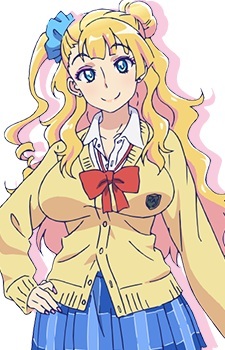 She also has an older sister, with whom she often exchanges clothes, including her school uniform; she gets angry, however, after finding out just what her sister does with it.